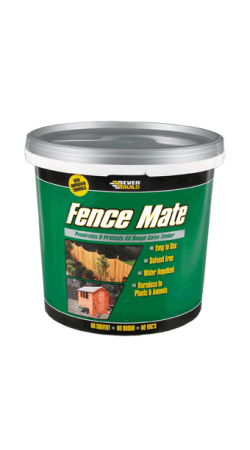 Fence Mate is an easy to use, solvent free fence and shed treatment, designed to provide a safe alternative to creosote. 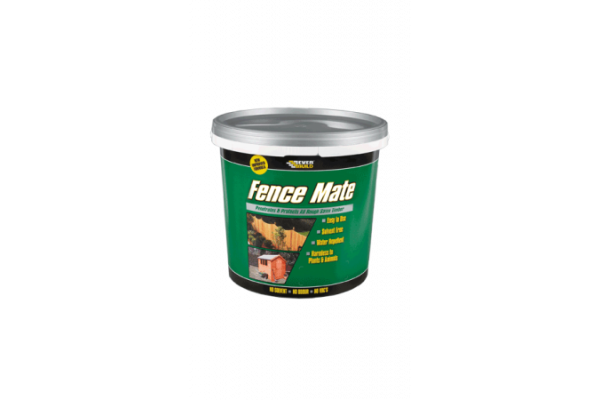 The product provides a durable, water repellent finish to all rough sawn and plained timber. Totally harmless to plants and animals. Colour lasts six times longer that creosote. Surface Preparation: Surfaces must be free from grease, dust, loose material, moss, algae etc. Clean surfaces with EVERBUILD FUNGICIDAL WASH and use a wire brush for areas badly affected. Always stir well before use. Brush uniformly onto surface ensuring an even coverage. One coat is normally sufficient, but on some very porous or bare timbers, two or three coats may be required to achieve the correct depth of colour. Allow the first coat to dry before applying the second. Drying time will be 2-6 hours depending on temperature.Do not apply below 5oC. Cleaning: Clean brushes, spillage’s etc in warm soapy water. THE GUTTER BRACKETS FITTED MY OSMA SQAURELINE GUTTERING , JUST NEEDED A LITTLE ADJUSTMENT TO MAKE THEM PERFECT . Well made and was easily fitted. It allows poor condition plaster type products to be replastered (when used in conjunction with other products ) by a very good plasterer . I ordered this item for mosaic work. I can cut a piece the size of my stepping stones, and srick my mosaic pieces diectly on to the mesh. The whole piece can then be stuck on to the item to be decorated in one go. This means I can work inside on my desk whatever the weather, and without dragging heavy stone items in to the house. These are rugged safety boots, but they are lighter than steel toecaps and very, very comfortable. So much so that I use the old pair for walking the dogs in the fields at home. Unbeatable. Bought to replace cracked pot that was falling apart. Looks to be well made & of good quality. Great product, exactly what we needed and it's the only place we could find it. Much more expensive than we had hoped but did the job very well. The customer service was excellent!\nUnfortunately the carrier delivered the goods too late for use. We had to return them, and received a full and speedy refund with no quibbles. I use this product to wrap around a component as a key for paint, which works very well. Good quality keys. Does what its suppose to do with ease. 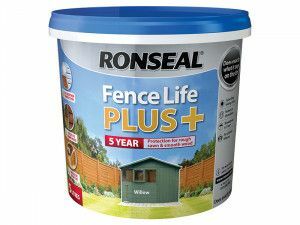 Excellent value for money, 20% cheaper than my local Builders Merchant. Applied easily, only time will tell if it protects against hairline cracks. Excellent quality of products, cheapest in the market. Excellent quality.\nIt was ordered on behalf of a local builder friend who needed it quickly for a customer. It was exactly what he neede. Seems fine for a plastic manhole cover but I can't say more as not yet fitted. Wanted this as lightweight replacement for an old manhole cover that had gone rusty under flower pots. Needed to be able to lift it easily as we have no surface water drainage and have nowhere else to dispose of buckets of dirty water etc. Does what it says on the tin and it's inexpensive. Frame easily fitted to inspection chamber with self-tapping screws provided. I ordered this for the top of an indoor barbeque/fire ontop of a low roof and wanted something a bit more special than a straight pot. Really happy with the look of it and cant wait for it to be put up, just what i wanted. Plan to cover over loose cracked plaster before re-skimming on an entire wall where the existing plaster has cracked. Have not used product as yet. If it achieves the required result will use every time faced with this problem. Fitted perfectly into my plastered arch. Item wasn't on their site but they sourced it for us. Used in a barn conversion for under floor heating pipes.\nGood value for money, would recommend. I believe I said it all in the previous box. Its a great product you need to furnish more detail i.e. frame depths thickness etc. and types available. There is a market for these, people like me, who are too old to lift the pavoir covers and fed up with the look of the rusty old galvanised covers. Would I am sure replace existing covers with these as I am doing. Seems fine, uniform and well made. Superb product. Extraordinary delivery time. Arch former making an Archway so much easier to build. Good quality, solid bracket. Pity I had to paint them as only option was galvanised.